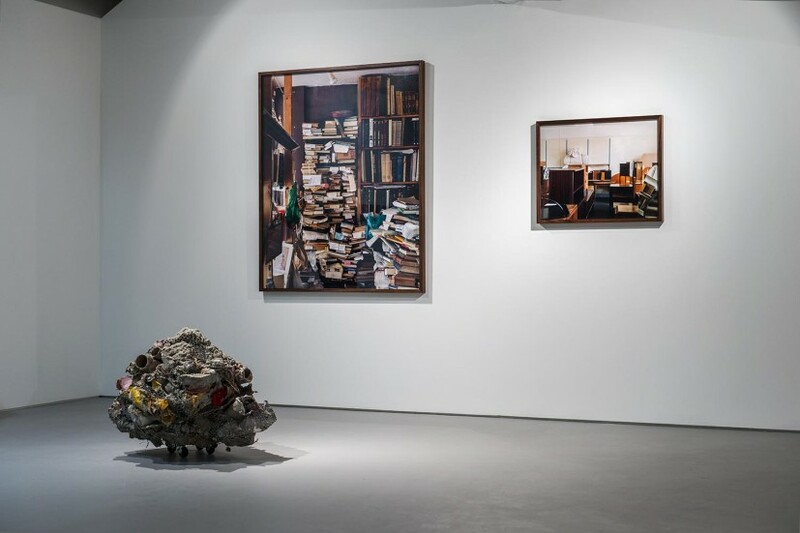 Phyllida Barlow’s practice reflects a distinct new direction in contemporary sculpture, one concerned with urban detritus, waste, recycling and a kind of ‘anti-form’. 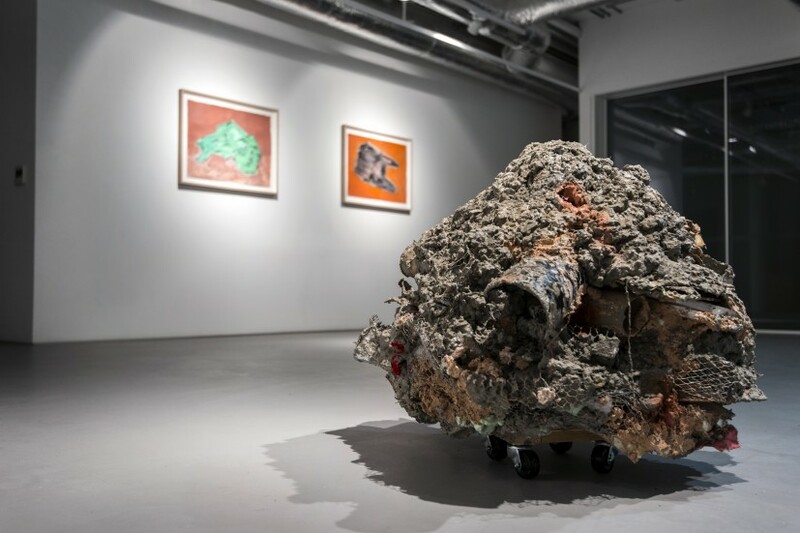 She uses cheap, industrial materials such as cement, sealant, bonding plaster and spray-paint to create fragile sculptures that rest precariously in their surroundings. Their sense of impermanence is in stark contrast to those sculptures and monuments in bronze or stone that plant themselves firmly in our parks and public spaces. 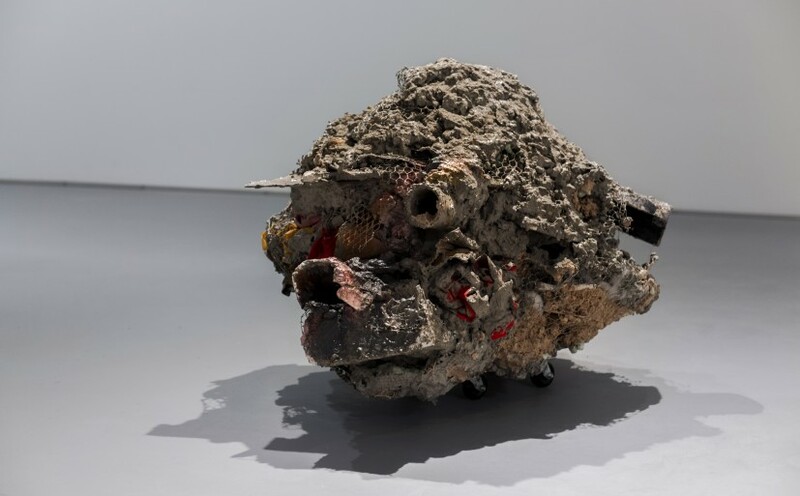 Her sculpture displayed here, Untitled: disaster 3, is a work on casters and comes from a series of small pieces made from the remnants of larger works. 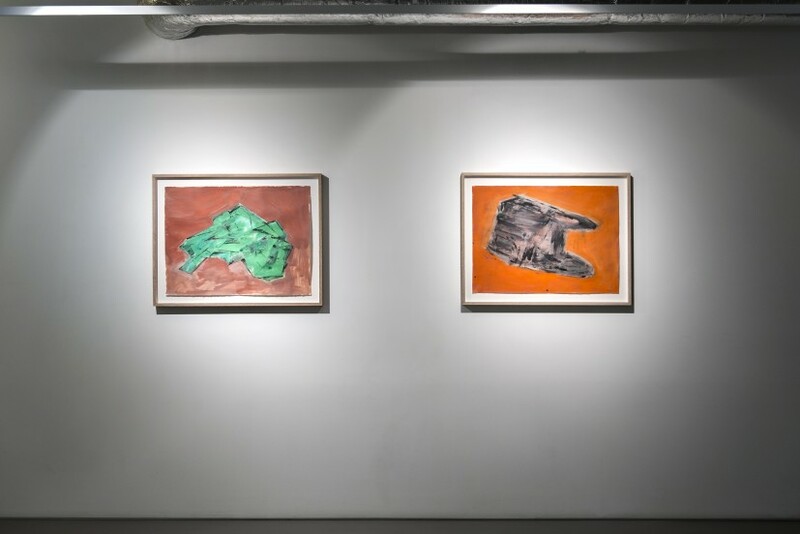 The two drawings acquired alongside Untitled: disaster 3 for Nottingham’s collection, Untitled: basel structure (2010) and Untitled: crushed shape (2011), are typical of her works on paper, revealing the integral role drawing plays in her practice. Untitled: crushed shape is one of a number of drawings that explores process and the behaviour of materials, and in Untitled: basel structure, Barlow gathers inspiration from the structures and materials of the urban built environment. 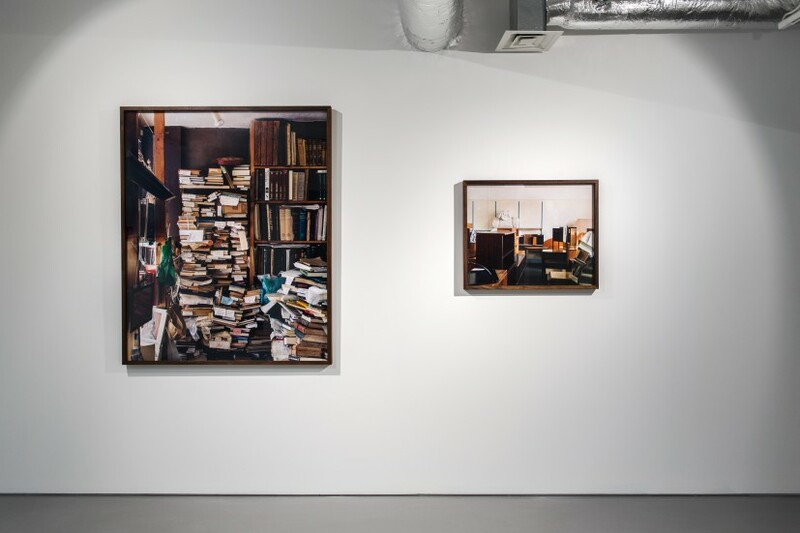 These works are displayed here alongside photographs by Nigel Shafran and Richard Wentworth from Nottingham’s collection also donated by the Contemporary Art Society almost a decade ago. Nottingham now has one of the strongest holdings of contemporary photography in the UK thanks to the Contemporary Art Society’s Special Collection Scheme (1998 – 2005), funded by the National Lottery through Arts Council England. 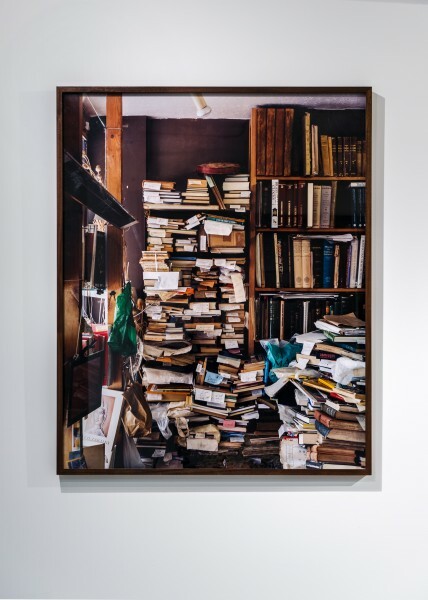 These photographs also focus on the possibilities of working with and referencing urban detritus. Shafran’s photographs come from a body of images he made of charity shops, car boot sales and market stalls between 2001 and 2002. He finds sculptural form in these random accumulations of discarded everyday items, stacked and stored in a state of uncertainty. 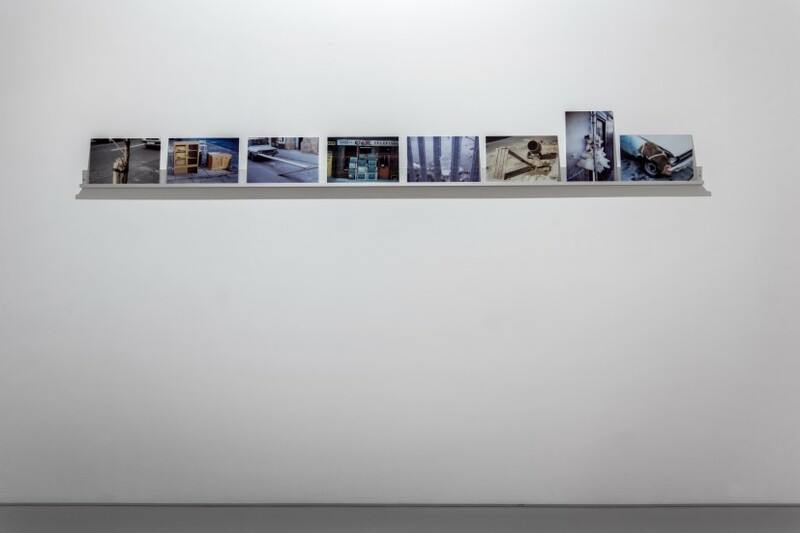 Shafran says of old photographs: ‘What’s interesting to me are the things on the edges that are not meant to be there – the soap packet, the bit of litter, the things that we can relate to and [which] hold that everydayness…’ [Nigel Shafran, Edited Photographs 1992-2004 (Photoworks and Steidl, 2004)]. Since the late 1970s, Wentworth has emerged as one of the key artists who are transforming the way we think about sculpture. 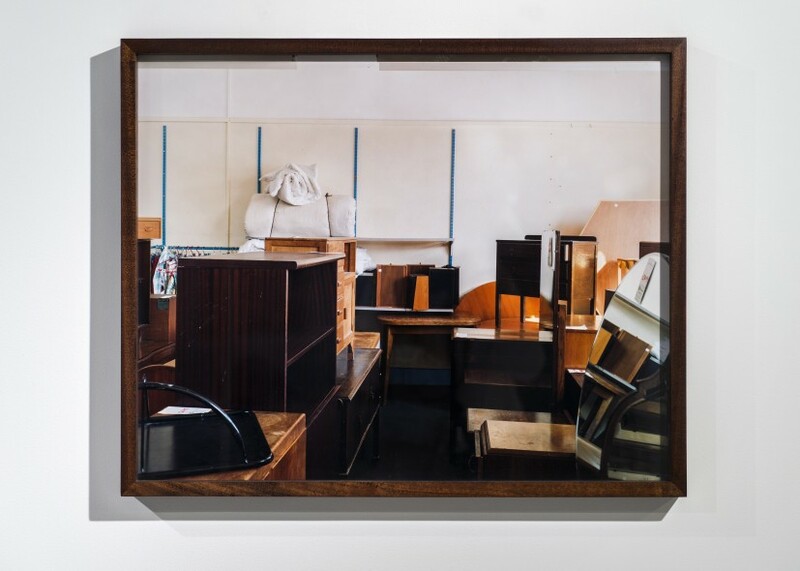 His ongoing series of photographs, Making Do and Getting By, deals with the transitory, precarious nature of everyday urban life and he is especially interested in the ready-made sculptural qualities of everyday objects. Making Do and Getting By captures incidental details in the urban landscape. The series documents the ingenuity of strangers who improvise a solution to a problem using whatever materials are to hand, and discarded objects are given a new and often surprising, humorous function. As critic Kate Bush puts it: ’The city is a vivid yet fugitive place, continually undergoing cycles of renovation, disintegration and renewal once more. Its pavements are a ‘stage’ for social activity and its physical details, however fleeting, full of meaning about the nature of an urban society…’ [Kate Bush, Richard Wentworth/Eugene Atget: Faux Amis (Photographers’ Gallery exhibition guide, 2001]. Phyllida Barlow was born in 1944 in Newcastle upon Tyne, England. She lives and works in London. In the late 1960s, Barlow began teaching at the Slade School of Fine Art as Professor of Fine Art. In 2009, she retired from teaching in order to focus on her own work and in 2011 she was appointed a Royal Academician. 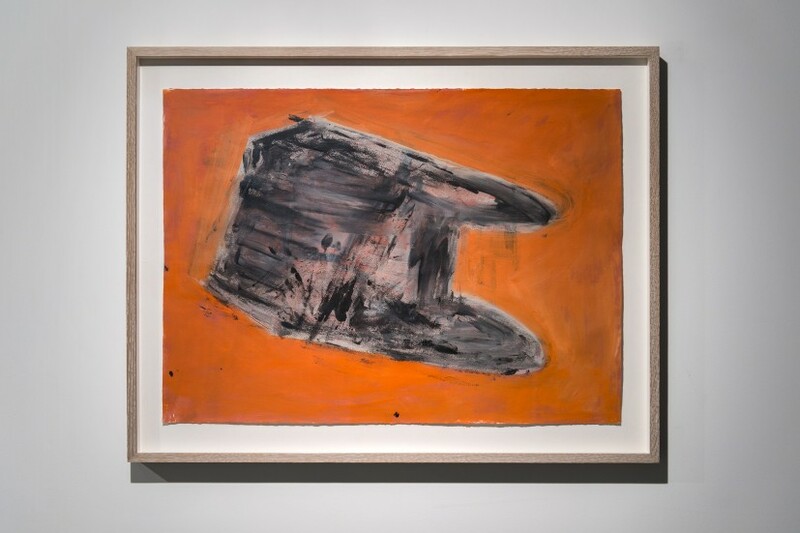 Barlow’s recent solo exhibitions include …later, Hauser & Wirth New York NY (2012); Phyllida Barlow: siege, New Museum, New York NY (2012); BRINK, Ludwig Forum, Aachen, Germany (2012); Phyllida Barlow: Bad Copies, Henry Moore Institute, Leeds, England (2012); RIG, Hauser & Wirth London, Piccadilly (2011); Cast, Kunstverein Nürnberg, Nuremberg, Germany (2011); STREET, BAWAG Contemporary, Vienna, Austria (2010); and in 2010, she was in the critically acclaimed two-person show at the Serpentine Gallery, London, England with Nairy Baghramian. In 2012, Barlow received the Aachen Art Prize and Award for the Most Significant Contribution to the Development of Contemporary Art at The First International Kiev Biennale, Kiev, Ukraine. In 2013, Barlow will present solo exhibitions at Des Moines Art Center, Des Moines IA and Norton Museum of Art, Miami FL. 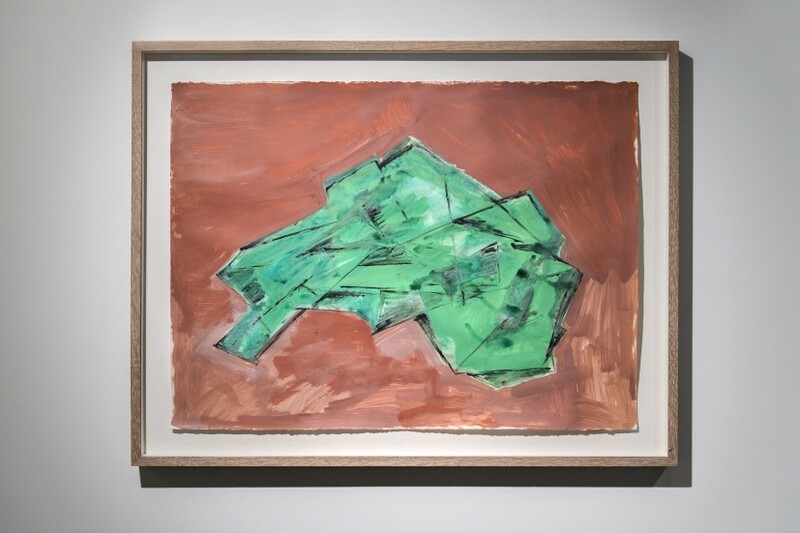 Phyllida Barlow is represented by Hauser & Wirth.